Location: Subtidal on rocky substrate, found in more sheltered environments and in areas of strong current. Season: Year-round — although sugar kelp prefers the colder seasons. 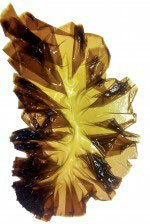 Taste and texture: Sugar kelp produces mannitol, a natural sugar that can lend a sweet flavor to dried fronds. Works well in: Dried fronds can be soaked and simmered to make a light broth. They can also be toasted and crumbled into powder or flakes to be used as a seasoning. Whole fronds can be used to wrap and steam vegetables, meats, and fish. Fresh kelp is milder and can be sliced and boiled for a healthy green vegetable. Amount: Dried kelp is a concentrated food, so a little goes a long way. 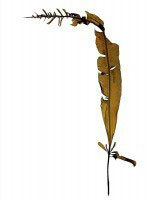 Use about one dried frond strip per dish, or 3–5 grams. Location: Estuaries and embayments, in shallow water. Taste and texture: Salty, crunchy. Works well in: Salads, stir-fries, soups. Amount: Add a cup of fresh or dried to any dish. Location: Intertidal on rocky shores. Taste and texture: Brown algae contain glutamic acid, a natural amino acid that imparts umami flavors to food. Brown algae are also great sources of iodine. Rockweeds are tough and can be bitter, so are not typically eaten directly. Works well in: Used to steam other foods, particularly seafood, to impart flavor. Also dried and used to make tea that provides a good source of iodine. Can be dried and used as a seasoning (powder or flakes) on foods as a great source of iodine. New tips can be steamed, boiled, or fried and eaten as a sea vegetable. Amount: A handful in a pot of water for steaming. Dried, use a small amount in tea or as a seasoning as an excellent source of iodine. 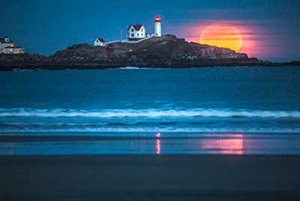 Location: Lower intertidal to subtidal, attached to rocks, ledges, or other seaweeds, in areas with strong tidal currents. Taste and texture: Rich, salty, mineral flavor. Works well in: The dried blades are often eaten straight out of the package as a salty snack. Can be pan-fried to make a crisp that can be substituted for bacon or eaten as a chip. Excellent with cheese, in salads and sandwiches, and as a seasoning. A tender vegetable, dulse does not need to be simmered or soaked like many of the other sea vegetables. Amount: The flavor of dried dulse is intense, so a few blades or a large pinch added to food will be sufficient. Location: Subtidal on rocky substrate. Found in more exposed environments and in areas of strong current. Look for it on outside exposed ledges at the lowest tides. Season: Like sugar kelp, this year-round sea vegetable is best during the colder months. 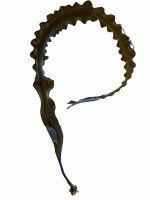 Taste and texture: Heartier than sugar kelp, horsetail kelp tends to have a thicker blade with a salty, mineral flavor. High in iodine. Works well in: Can be cooked and used like any vegetable, or used to wrap or steam other foods. Makes a good “vegetarian soup bone” for nutritional, hearty broths that offer umami flavors (similar to the Japanese kelp, used to make dashi). And it helps with digestibility when added to soaking and cooking water when preparing dried beans. Amount: This is a hearty kelp, so use sparingly. Location: Intertidal to subtidal, on rocks and ledges and other seaweeds. Taste and texture: Mild and chewy; nutty. Works well in: Rice dishes, savory stir-fries, soups, and marinades. 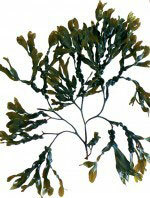 Amount: Lower in iodine and higher in protein than the kelps, laver can be used freely in any dish. Simmer to soften, or toast and then crumble and add to any dish. Works especially well in savory dishes. Location: Lower intertidal on rocky substrate, usually found on ledges at low tides. Taste and texture: Mild and chewy. Works well in: Typically simmered in water or milk to extract the natural phycocolloid carrageenan, a thickening agent for foods and drinks. Amount: A handful added to a pot for thickening soups, stews, and other liquids. Location: Subtidal to lower intertidal on rocky, exposed ledges. Look for it at the lowest tides. Taste and texture: Similar to Japanese wakame, which is traditionally used in miso soup and seaweed salads. Mild, pleasant, and nutty. Works well in: Light, mild, and chewy, winged kelp — also commonly called alaria — is perfect for salads. Soften by soaking and simmering. Use as a mild vegetable in any dish. Location: Found in both sheltered and exposed environments, on rocks, ropes, buoys, and on other seaweeds, usually in nutrient-rich waters. 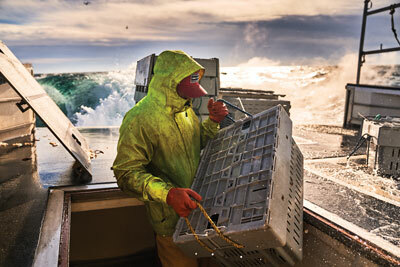 Taste and texture: Salty, strong ocean flavor. Works well in: Sea lettuce can be eaten fresh, but it’s more often dried and used in seasoning. 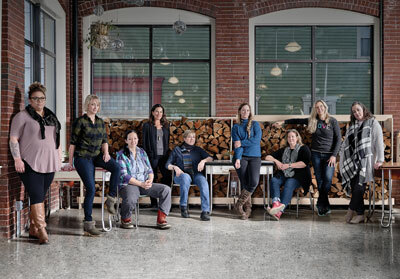 We recommend getting your seaweed from a certified purveyor. Harvesting yourself can pose risks to your health and the environment and is not endorsed by Down East. Or check out some recipe ideas! So I see Bladderwrack (Fucus vesiculosus) is edible. What about Ascophyllum nodosum? This one looks similar but I only see Ascophyllum nodosum listed as a fertilizer! So can you eat Ascophyllum nodosum as well since I see so much of it? Are there any of the seaweeds that are poisonous?? Thanks for the great review.